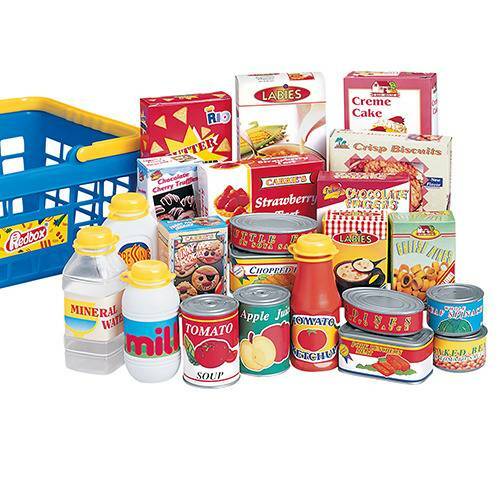 Basket measures 11" x 8"
Stock your market with cans, boxes and other groceries. Children will have hours of fun doing their own shopping at the grocery store. Includes 8 empty play canned foods, 10 empty play food boxes, 4 empty play bottles and 1 basket.